VANCOUVER, Dec. 1, 2017 /CNW/ - Network Media Group Inc. (TSX: NTE.V) and Network Entertainment Inc. ("Network" or "the Company") is pleased to announce that "I Am Sam Kinison", its documentary celebrating the life of the audacious, charismatic, bawdy, fearless, raw and immense talent who changed the face of comedy, will make its debut on Spike TV on Tuesday, December 19 at 10:00 pm ET/PT. Spike will air the uncensored version one time only directly following at 12:00 am midnight, the earliest it could air due to the mature content. The film is the latest from critically-acclaimed filmmaker and Network C.E.O. Derik Murray, who has previously brought to the screen the lives of such iconic figures as Heath Ledger, JFK Jr., Chris Farley, Steve McQueen, Johnny Cash, Bruce Lee and Evel Knievel. "Our mission was to delve deep into the complicated life of a man who commanded the stage like no other," stated Producer Derik Murray, "Sam's life ranged from the restrained to the excessive, the comedic to the tragic, and from the sublime to the ridiculous. It is quite the ride." Told by the people who knew him best, including close friends and family, and with unforgettable and rarely-seen clips from Sam's most iconic performances, viewers will experience Kinison's meteoric rise featuring his signature barrage of shrieking and misanthropic riffing on some of his favorite topics including marriage, women, religion, and world hunger. From his humble beginning as Pentecostal preacher to drawing 80,000 rabid fans in Giants Stadium, Kinison enjoyed a steep trajectory to fame, excess, drugs, despair, and an untimely death when his car was hit by a drunk driver in 1992. Director Adrian Buitenhuis interviewed a stellar cast including Jay Leno, Corey Feldman, Bob Saget, Joe Rogan, Bill Burr, Tommy Chong, Rudy Sarzo, Ron Jeremy, Charlie Sheen, Argus Hamilton, Jimmy Shubert, Dan Barton, Felicia Michaels, Joey Gaynor, Judy Tenuta, Steve Epstein, Lue Deck, Bill Kinison, and Sherry Kinison. 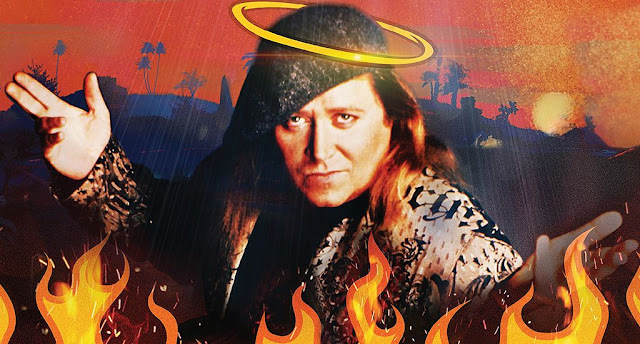 Thunderbird Entertainment is distributing "I Am Sam Kinison" in Canada, and FremantleMedia will be distributing internationally in all media.